Who needs a tackle box, bait and rod to bag catfish when bare hands and feet reel 'em in just as well? With years of experience and unbridled enthusiasm for a sport that many Americans don't understand, Skipper Bivins and Trent Jackson are experts at it. New noodlers include best friends from Boston, California siblings and Chicago police officers. 2. Come on You Noodling Diva! Two friends from Atlanta; brothers-in-law from Phoenix; Oklahoma newly weds. Two New Yorkers; a father and daughter; an older couple. Friends from Charleston; moms from Kansas; firefighters from Virginia. Two socialites; college basketball players; newlyweds. A mother and daughter from Boston; co-workers from Maryland; a pair of metrosexuals. Baltimore housewives, fishmongers from Chicago, and two self-professed nerds wade into the waters. Chicago best friends; friends from Louisiana; brothers from Annapolis. Sisters from Beverly Hills; two brainiacs from Berkeley; tattoo mavens from Kentucky. Massachusetts models, college buddies and an unhappily married couple try to nab catfish. Dallas socialites, French chefs and a California schoolteacher wade into the catfish-rich waters. Mothers and their children try their hand at noodling; Australian rugby players test their reflexes. Rockers, Las Vegas showgirls and a pair of Southern policemen wade into the waters. 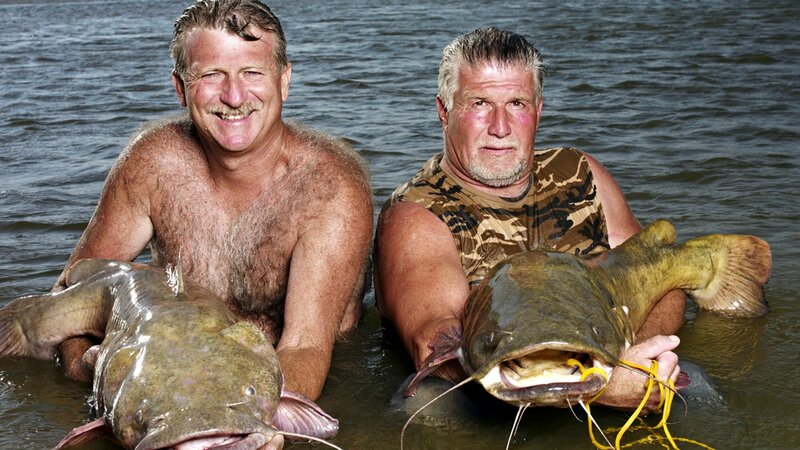 After weeks of taking out city slickers into the wilds of Oklahoma, handfishin' experts Skipper and Jackson have seen it all.